What time is it? It's time to learn about black history! 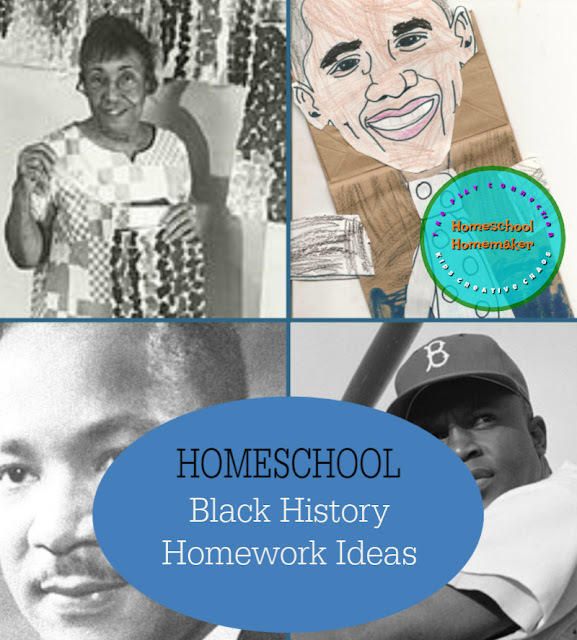 These black history homeschool homework ideas will prepare your homeschooler for an oral report on their favorite person in black history. We've organized the famous black Americans by school subject so that you can choose one that fits your interest. With so many famous African American achievers, there's no sense in studying a subject you find boring! This post contains Amazon affiliate links. If you make a purchase, I get a small commission. Write a bio after researching one of the Black History People in this list. Black History Month Homeschool Ideas from Kids Creative Chaos.